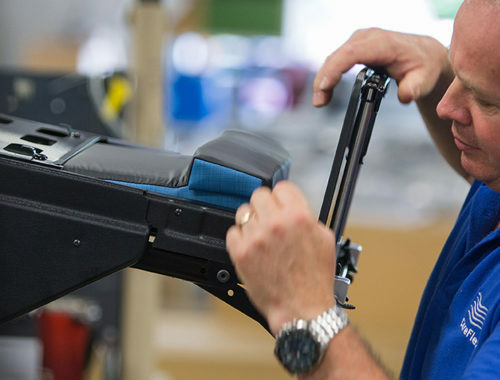 CareFlex is the only specialist seating manufacturer supported with independent clinical evidence over a 20 year period. The MDA evaluated our HydroTilt chair by measuring the ischial interface pressures of 12 elderly able-bodied subjects using the HydroTilt and comparing the results to the subjects’ ‘reference’ armchair. The HydroTilt gave among the lowest interface pressures with a mean of 64.2 mmHg, compared to the ‘reference’ armchair’s mean of over 90 mmHg. We are confident that in a managed and trained care environment our WaterCell Technology will suit users of all risk categories – including high risk. Fiona Collins, a Tissue Viability Consultant, completed an article, which was published in International Journal of Therapy and Rehabilitation. She completed case studies of people with complex seating needs, showing the outcomes of using a HydroTilt chair. Fiona Collins concluded that there is a definite need for thorough assessment to ascertain seating goals. She believed that the HydroTilt can address a range of issues, including postural and pressure care needs, feeding, mobility, respiration, swallowing, oedema, comfort and dignity, and that WaterCell technology provides optimum pressure redistribution. CareFlex has over 20 years’ experience developing high quality seating and can be relied upon for expert, impartial and ethical advice. For this reason, we approached The University of Salford to carry out an up-to-date study by two independent researchers to look at the benefits of using CareFlex specialist seating, the effectiveness of WaterCell Technology, and ascertain how people report their comfort in the chairs. 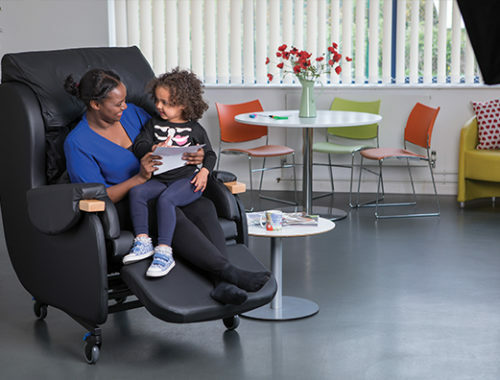 The researchers, Carol Bartley, an Occupational Therapy Lecturer, and Melanie Stephens, a Senior Lecturer at the School of Nursing Midwifery, wanted to know how comfortable users found CareFlex specialist seating. Three chairs were used as part of the study: HydroTilt, SmartSeat and SmartSeatPro, which were randomly assigned to reduce bias. There were 12 participants between the ages of 19 and 84, male and female, with mixed abilities, including wheelchair users. Ethical approval was granted by the University of Salford Ethics Committee. The involvement of CareFlex was purely to provide and deliver the chairs to further reduce bias. Data collection tools included interface pressure measurements collected using the XSensor® PX100 pressure, clinical observations of respiratory rate, pulse rate, and blood pressure were collated to gauge physiological responses in relation to comfort and discomfort, a validated self-reported comfort and discomfort rating questionnaire (Crane, 2004), and a semi structured interview that was digitally recorded. 92% of participants reported the chairs as being comfortable. They described this by reporting positive feelings, such as falling asleep in the chair, the chair being at the right temperature, feelings of stability, and their body feeling more at ease. While they were seated in the chairs, 80% of participants reported being able to do more than they would usually do in terms of activities and leisure pursuits, such as watching TV, reading, and knitting. There were also reports of improved upper limb positions and being at eye level. Between the three chairs, the average pressure measurements were considerably lower than those in a comparable study by Kim & Chang (2013). Our chairs had measurements of 42-44.03 mmHg, which can be compared to Kim & Chang’s results of 60.95-61.97 mmHg, using air and foam cushions respectively. Across all three chairs, the peak pressure index was comparable to a study by Gil–Agudo et al. (2009). The HydroTilt offered the lowest interface average pressures with a statistical significance. 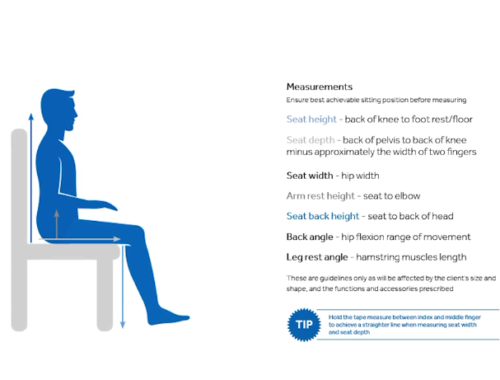 Results also point to the fact that comfort and the aesthetics of a chair are so important to users that, regardless of the clinical benefits, such as posture management and pressure relief, the chair may well not be used if the user is not comfortable…. and does not like the colour or fabric! This is extremely important to help stop the high levels of ‘equipment abandonment’ witnessed by many health care professionals daily. Just a few of the many affirming comments, some of which touched the researchers deeply.